Final Thoughts on the Research Institute LEGO Ideas set. At the risk of reopening old wounds, I thought it was about time I made a post about my Research Institute review, hopefully setting the record straight in the process. I had the idea to do so a while ago, in the form of a “re-review”, but unfortunately I couldn’t get hold of another copy of the set (at retail price, thank you). Being absolutely honest, I’m not proud of that review. It was the only one out of 101 where I’d let politics get in the way, mostly because of where I was at the time. Even if other reviewers are allowed (by their followers) to do it in their reviews, that’s not how I wanted to do things. As mentioned recently in another post: the review is and should always be about the set, not the politics. But you know what? Some of what was said had to be said. Let’s get into it. 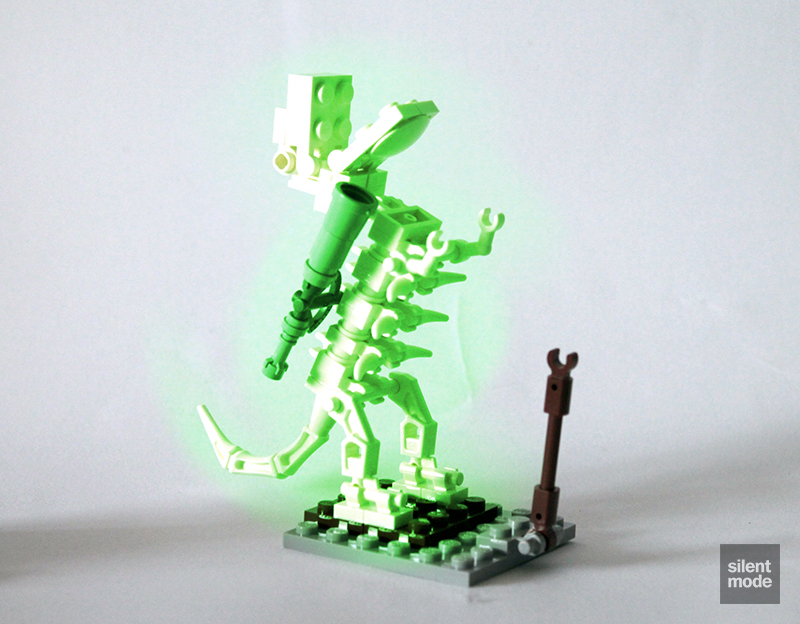 Let’s recap, for those who weren’t around at the time: the Research Institute was one of that small handful of LEGO Ideas projects that got a lot of press, both inside and out of the online LEGO community. It reached 10,000 supporters very quickly as a result, but it wasn’t until the following review phase – having been kept in the running – that it was chosen, with all the other projects in that review being eliminated. As well as being released at roughly the same time as the Exo Suit (chosen from the previous review), it was credited for the final product being very close to the submitted design. 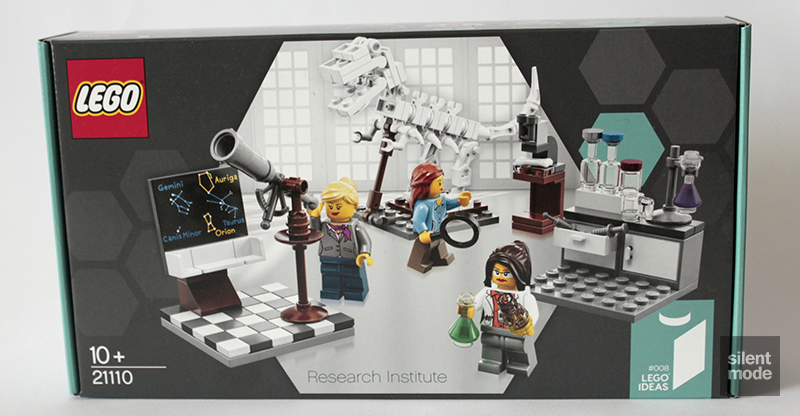 The Research Institute’s widespread appeal was that it only had female minifigures in it. That’s literally all people were raving about in the forums and on social media; I don’t remember there being any mention of anything else, including how great the design of the set was. This was where I started having a problem, because it showed a severe lack of imagination. While I’m convinced it’s easier than ever to create your own female minifigures if you have the parts, most people are convinced that female minifigures must have lipstick, must have eyelashes and must have curvature marks – and apparently they must also be official LEGO minifigures, or it doesn’t count. It wasn’t long before feminism became attached to the project. Cue the six year old girl’s “letter” about a lack of female minifigures (I don’t believe it was a real six year old), research into female to male ratios in official sets (see point above), the complete dismissal of the Friends theme (despite years of research by LEGO into what girls wanted, and its success) and so on. Whatever your opinions about feminism, female minifigures or the other issues, one thing that was completely forgotten was the point of the project as advertised: to encourage young girls to pursue an interest in science. I remember giving the Research Institute 6 out of 10 when I reviewed it, and two years later… I’d still give it 6 out of 10. Looking at the above photo, which was part of my review, the astrology vignette is the most appealing part of the set. Not only was the telescope a very clever build, but the chequered floor really completes it, making it something to proudly have on your desk. The dinosaur skeleton is still an impressive build, being made completely of White parts and able to stand on its own! Besides those things, the strongest part of the set overall is the white coat scientist, whom for some reason I call “Big E”. I bought copies of the torso, head and hairpiece from LEGO S@H, because I wasn’t content with having just one. Here’s the problem I have with the set in a nutshell: a lot more could have been done with it, given that the Research Institute was such a milestone (in terms of being a female minifigure only set). The biggest improvement would have been to use 8×8 vignettes instead of the odd choice of 6×6, as well as adding to the laboratory and palaeontology vignettes to match the astrology vignette. It seemed contrived that the Research Institute was mentioned by LEGO as being very close to the original design, but that’s me. Despite the differences in set sizes and prices, I’m convinced that the Research Institute was released – perhaps rushed – to go head to head with the Exo Suit, if for no other reason than there hasn’t been a simultaneous LEGO Ideas release since. I hope it wasn’t the case, because it deserved to be released on its own merit. My review of the Research Institute is my most commented on since going independent, for all the wrong reasons! As you’d expect, I’ve received hateful responses, both on SilentMode.tv and Reddit, from… well, you already have an idea who created those messages. I’m sure I’ve had hateful responses elsewhere, too. While the comments may have been warranted, the response went as far as people (hiring other people) trying to hack and/or destroy the site. They got me once, but fortunately I had backups. Given that shaming was more appealing to these people than debating or addressing any of the points made, both actions prove that the group in question is a hate group. Once again I will reiterate that I have no problem whatsoever with Alatariel: the person behind the Research Institute and The Big Bang Theory (along with GlenBricker) LEGO Ideas sets. I don’t know the girl woman, we’ve never spoken and she’d probably attack me with a real dinosaur skeleton if we ever met. In any case, I think she genuinely wanted the set to be about encouraging young girls to get into science, not least because she’s a scientist herself. I also don’t have any issue with females involved in LEGO, before anyone dares to make the insinuation. I can (but won’t, for their safety) name at least three I have the utmost respect for as actual builders. But would you like to know something really interesting? As much as I wasn’t thrilled about the project being chosen, nor was I happy about the direction LEGO Ideas seemed to be taking, the marketing part of my brain began to think. Just as the Research Institute was about encouraging young girls, and became the first female minifigure only set (as far as I know), it could have sparked an influx of new and existing female fans of LEGO. It would have been the perfect opportunity for them to surface, even if it meant endless gratuitous cries of “girl power”. This appears to be far from the case, however. It’s almost been two years, and I’ve yet to see anything making good on the momentum set by the Research Institute at all – just a bunch of copycat, three vignette projects. What was really telling was when I posted in a thread on Brickset discussing the Research Institute: I’d raised the point that, if people were really concerned about the lack of female minifigures in official LEGO sets, they could buy the parts for female minifigures themselves and create their own sets around them. With access to Build A Mini stations in LEGO stores, as well as S@H, there’s no excuse. I’d even given the “equality” campaigners an idea: do what Alatariel did and create their own set they’d like LEGO to produce, then present it to as a possible solution to the “inequality”. Better yet: why not design the set yourself, buy the parts yourself, distribute the product yourself and raise awareness of the disparity yourself? Heck, even Greenpeace took the initiative! and look what happened. Did you know that my post was completely ignored? Those people (feminist or not) making a huge fuss about female minifigures aren’t interested in solving the problem themselves, and I’d argue they don’t care about young girls either; they just want LEGO to do the work for them. Remember: if it’s not a minifigure that comes in an official LEGO set, apparently it doesn’t count. Above all else, that was the biggest problem I had with everything that went on, which rightly or wrongly had influenced my review. Thank you for hearing me out. Even if you disagree with my stance, I felt it was important to express my sentiments, as someone who often has a differing viewpoint. We now return to our featured presentation.